see As a new patient to our practice we promise to make your experience relaxed and informative. Our philosophy is to provide high quality care, to listen to your needs and give appropriate time for ensuring treatments are carried out to the highest level. A complete dental record will include x-rays, photos of the teeth and laboratory made study models. 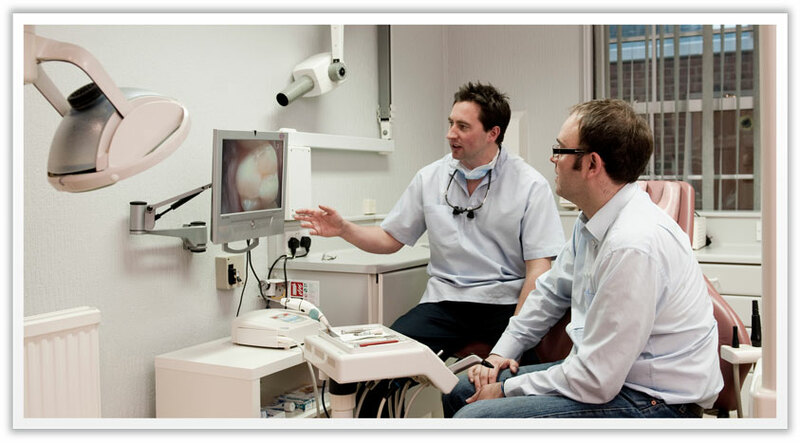 Using intra-oral camera technology provides a great way to show our patients their teeth in magnified detail. This visit is very much tailored to you, so please do come prepared to discuss anything you would like to change about the appearance or comfort of your teeth or any other concerns you may have about visiting the dentist. We can then together draw up a treatment plan to suit your personal needs.